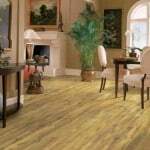 Although linoleum floors are often mistaken for vinyl flooring, and vice versa, linoleum is actually a significantly different material. 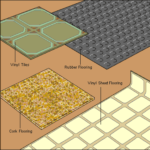 Vinyl flooring is made from polyvinyl chloride, a type of plastic that comes from oil. Linoleum is made from natural linseed oil (from flax), pine resins, wood flour, granulated cork, and powdered limestone—all compressed onto a layer of jute. This natural composition is reflected in the appearance of the material, which tends to have a subtle, organic look. It also makes linoleum an environmentally responsible choice. Linoleum has a natural resistance to bacteria, a trait that makes it an excellent choice for bathrooms, kitchens, and children’s rooms. A distinct downside, however, is that as a hard type of flooring, it tends to reflect sound rather than absorb it. An extensive palette of colors and patterns is available. Linoleum is sold both in rolls that are 6 or 12 feet wide and in 12-inch-square tiles. 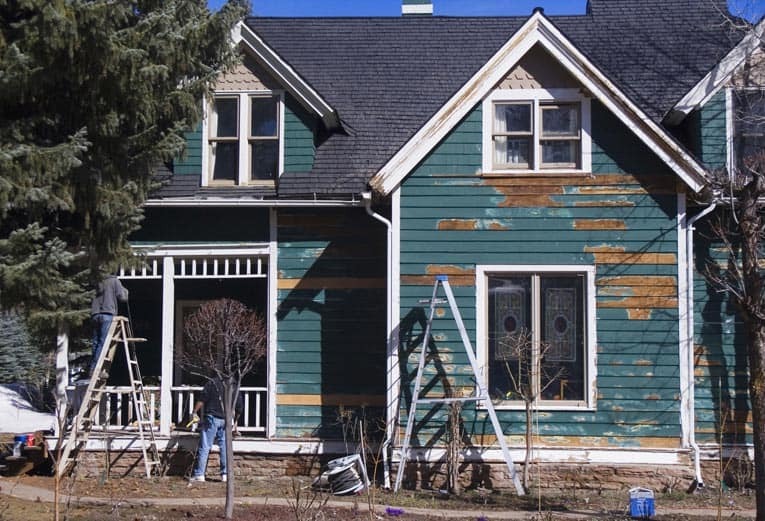 It is often priced by the square yard instead of the square foot; the installed price can range widely from $6 to $40 per yard. Unlike vinyl, the color in linoleum penetrates entirely through the material, giving it great resistance to noticeable wear and making it easy to repair. To fix scratched or damaged tiles, you simply mix some wood glue with shavings from a scrap piece and apply the paste evenly. For this reason, it pays to store a few extra pieces following installation. For installation, the subfloor need not be very strong, but it must be smooth. Install linoleum much as your would vinyl sheet flooring, but use adhesive made for linoleum. Keep the floor covered with coats of acrylic sealer. Linoleum is easy to clean because it suffers no ill effects from water.